(Photos courtesy Salt Lake County) Police arrested Park City Assistant City Attorney Polly Samuels McLean, left, and her husband, well-known backcountry skier Andrew McLean, right, Thursday on counts of theft and criminal mischief. Park City’s assistant city attorney may face felony charges after she was arrested last Thursday on counts of theft and criminal mischief for allegedly stealing more than $1,500 worth of hunting equipment. Skip Sheldon Roberts took to Facebook last week after he’d gone on his evening hunt and found his two tree stands and a trail camera had been stolen. 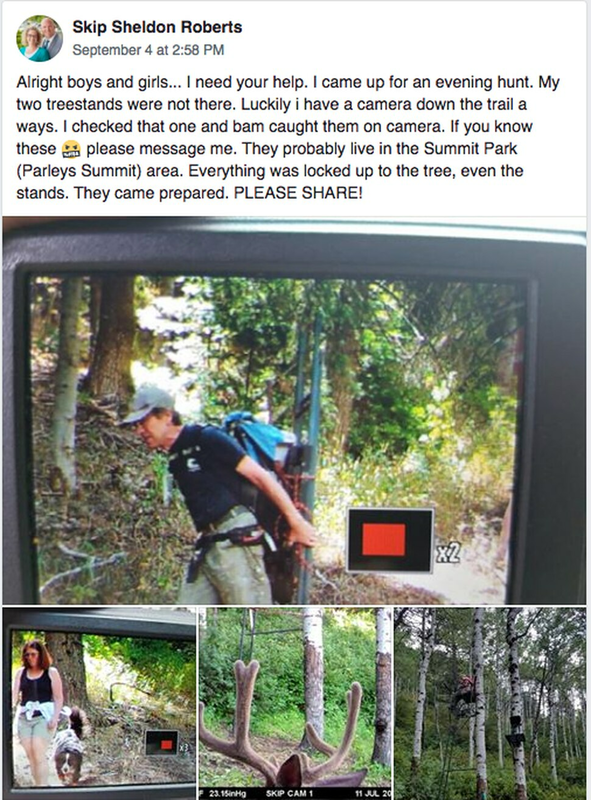 The perpetrators hadn’t taken his other trail camera, so he checked the footage — and “bam caught them on camera,” he said in a post to a group called Bowhunters of Utah. Roberts, who could not be reached for comment on Tuesday, asked for help in identifying the two people, whom police eventually identified as Polly Samuels McLean and her husband, well-known backcountry skier Andrew McLean. Screenshot of a Facebook post by Skip Sheldon Roberts asking for assistance to find people who took his hunting equipment. 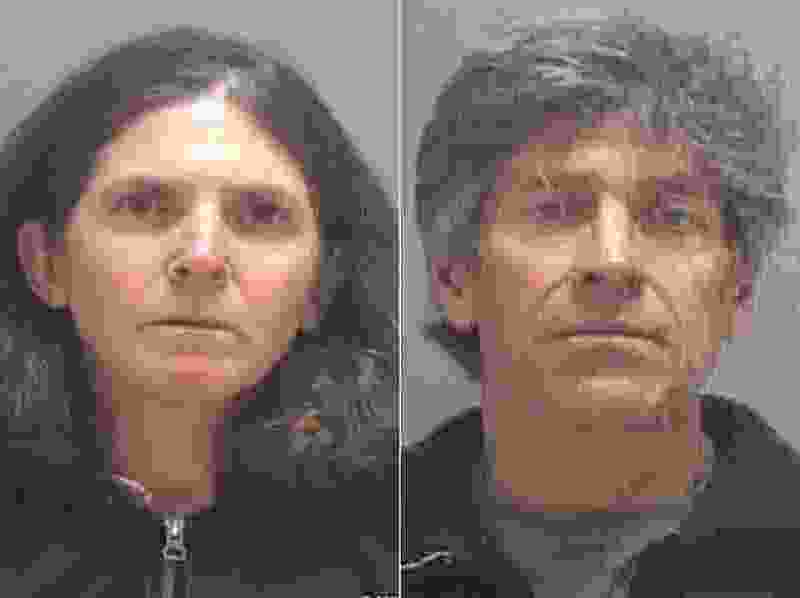 The couple allegedly cut the security cables attaching the equipment to the tree to take it, according to a probable cause statement. Archery season for deer and elk opened Aug. 18 and runs through Sept. 14, but an extended season is available for certain limited-entry places until Nov. 30 for deer and Dec. 15 for elk. The regulations are silent on using stands but note that hunters can’t build permanent stands in the trees. The case has been forwarded to the office of Salt Lake County District Attorney Sim Gill, who said Tuesday it is being evaluated to determine whether the office will file charges. In a statement, Park City said McLean had informed the city’s human resource manager on Friday of her arrest. Linda Jager, a spokeswoman for the city, said Tuesday she was unable to comment on personnel issues and would not confirm whether McLean was still employed or could face disciplinary action at work. “Park City Municipal Corporation will continue to follow its policies and procedures in this matter and has no further comment at this time,” the statement concluded.